High Speed. Four Line Coding. 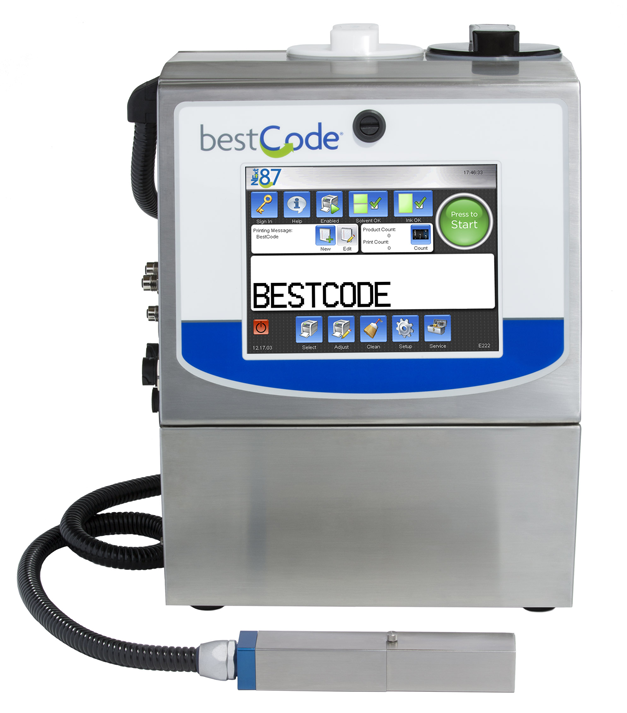 The BestCode Model 87 is targeted at markets that have minimum requirement of 4 line printing, "multi-lingual" coding applications, printing 1, 2, 3, 4 or 5 lines of text, barcodes or graphics. A complete range of dye and soft pigmented inks available for a wide range of applications.